Made from high tensile steel and are usually epoxy polyester powder coated, which prevents from rusting. 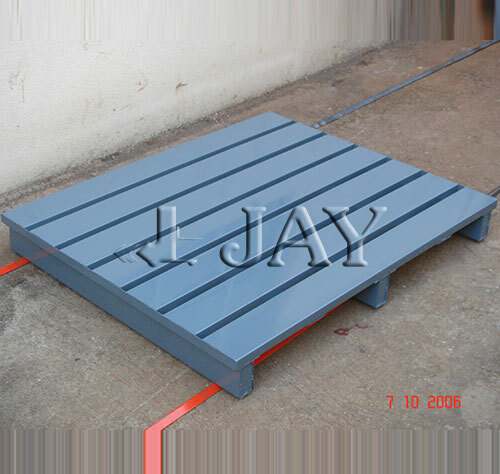 The platform is made from steel planks and welded with legs. Standard configuration of pallets can be in two ways or four-way entry. 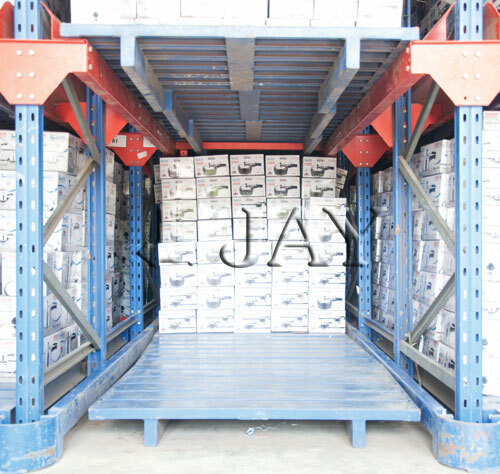 'JAY' metal pallets are compatible with all kinds of racking systems.